The Grand Residences condominium | Park Side Village | 4070 Confederation Drive | SQ1 condos | Grand Residences condos available for sale and lease. 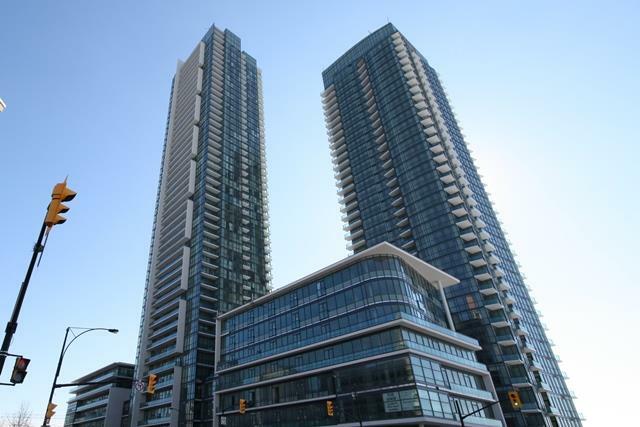 The Grand Residences condominium is part of large condominium community project called Parkside Village in Mississauga. The builder of this community is Amacon. This is third condominium in the project (The Residences, Grand Residences, Park Residences, Posh Style Vibe). Parkside Village promises a vibrant life. The Grand Residences is 45 storey high condominium with 402 suites. This condominium was built in 2013. It offers selection of one bedroom, two bedroom and penthouse suites. The suites range in size from one bedroom 560 sq.ft (including the balcony) to penthouse suites just over 1700 sq.ft (including the balcony) . This condominium has 50,000 square feet of indoor and outdoor amenities shared with The Residences condominium and The Park Residences condominium. Parkside Village is redefining the city centre. With all the conveniences within Parkside Village, you'll discover the wonderful lifestyle that a true urban village offers. Inviting cafés, shops, restaurants and services are plentiful and are just steps away. Also you'll find vibrant street life, parks, landscaped promenades, arts and culture – truly a new standard and a new way to live in downtown Mississauga. The Grand Residences suite bathrooms features revitalizing, rain-styled showerhead for a soothing rainfall showering experience.Euro-styled pressure balanced and temperature shower controls.Custom designed “Euro” style shaker cabinets with brushed chrome knobs. Contemporary Euro-styled single lever chrome faucet. Deep contour soaker tub.Polished chrome accessories including towel bar, paper holder and shower rod. High efficiency round front toilet for in-suite water conservation. Classic, full-width vanity mirror elegantly lit with cosmetic light bar. Entry privacy lock. Hand set, oversized porcelain tile flooring. 50,000 sq.ft. of amenity space that includes an indoor swimming pool, an outdoor sunbathing deck, a gorgeous wine cellar and more. Everything you need is right at your doorstep.